Mravinsky rose to national prominence in 1937, when he conducted the first performance of Shostakovich’s Symphony #5. Following the composer’s official condemnation by the state in 1936, the success or failure of this première would be significant, given also that Stalin’s purges were by now gaining momentum. Mravinsky delivered a powerful and successful account of the new work, which subsequently became a core item in his repertoire. This success also led to a close working relationship with Dmitri Shostakovich: Mravinsky was to conduct the first performances of several more of his symphonies. The next critical stage in his career was his participation in the first All-Union Conductors’ Competition, which was held in Moscow in 1938. Mravinsky made commercial studio recordings from 1938 to 1961. Disliking the recording process, Mravinsky ceased to make studio recordings after 1961, and up to his death his publicly-available recordings were relatively few. Given this fact and his limited international appearances, it is perhaps doubly extraordinary that his international fame was so extensive: he was regarded throughout the last decades of his life as a master with a reputation of the highest order. 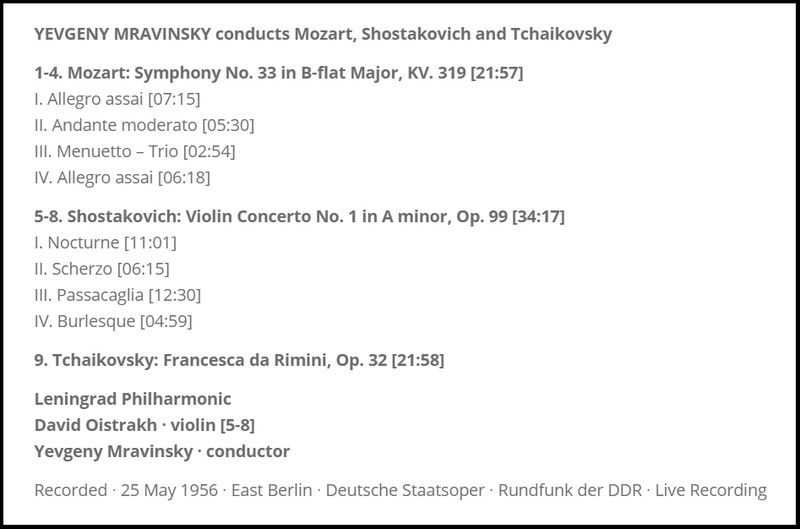 His final recording was from an April 1984 live performance of Shostakovich’s magnificent Symphony #12. 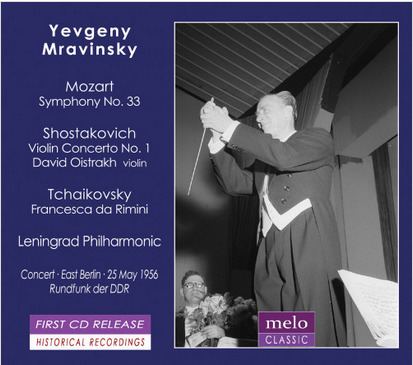 Recordings reveal Mravinsky to have an extraordinary technical control over the orchestra, especially over dynamics. He was also a very exciting conductor, sometimes changing tempo in order to heighten the musical effect for which he was striving, often making prominent use of brass instrumentation. From all reports, Mravinsky was a tyrant in the Fritz Reiner-George Szell mold. He was a fanatic for meticulous preparation, as demanding of others as he was of himself. One hour before rehearsal was to begin, the orchestra began to tune up; 30 minutes later they sat with instruments tuned, awaiting the appearance of their conductor. Mravinsky was nothing if not a passionate orchestral pedagogue. Even when preparing a work he had conducted countless times, such as Brahms’ Second Symphony, he still scheduled eight rehearsals so as to refine the interpretation even further.